Light Painting | Just Shooting Memories! Saturday night, I was called by my brother and asked if the kids wanted to play with some glow sticks. I thought it would be a great time for some interesting photos. Instead of light sticks, we had glow necklaces, bracelets and emergency flashlights. I decided to have a little fun with the emergency flashlight. One side is a glow stick, whistle and the other side is a small led flashlight. 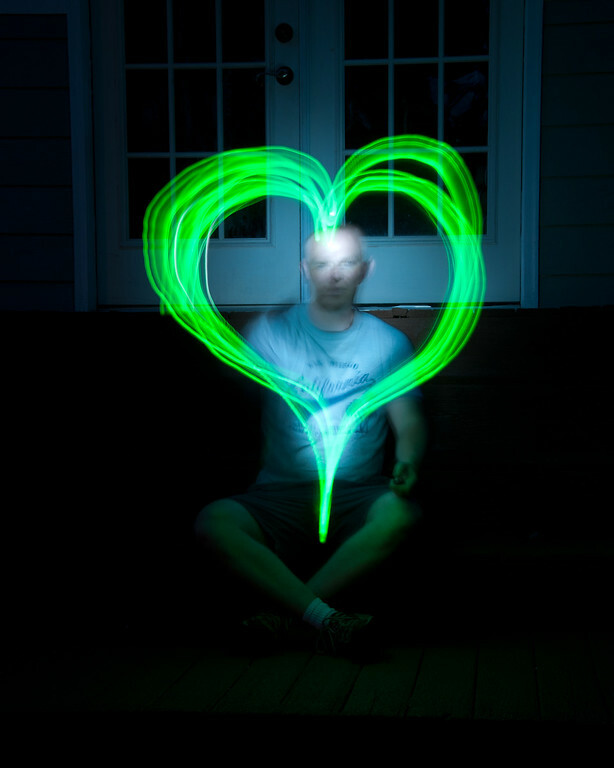 For this shot, I turned on both the flashlight and glow stick. I did not have much trouble remembering where I ran the glow stick for multiple passes. I can still see the led light burned into my retina.